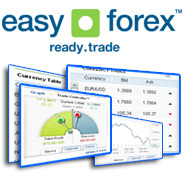 The leading independent currency trading platform. Currency trading point and figure charts seem difficult at first, but bear with us, and by the end of this guide you'll figure the point of point and figure charting. Even though point and figure charts, or P&F charts, look different than other currency trading charts such as line charts, they are worth getting to know, because they have several advantages. Currency trading point and figure charts consist of groups of 'X's and 'O's. Groups of 'X's indicate a rise in the currency trading price. 'O's on the other hand are used to point to a drop in currency price. P&F charts only show significant price movements, and filters out the unnecessary noise of small ups and downs in currency price that constantly occurs. This way reading this chart is easier that reading other types of charts. These charts can be seen over flexible and changing periods of time. One of the largest advantages of P&F charts is that you can see support and resistance levels in the easiest way possible. Noticing trend lines for technical analysis is easier. Point and figure charts are used for long term investments, and can give a clear view of a currency trading position. When you start using P&F charts, you'll notice they transform the way you view Currency Forex Online Trading, just don’t forget about the other trading charting strategies! Get your pro account with exclusive benefits such as instant deposits, fixed spreads, continuous quoting and more! Watch our step by step video presentation. An introduction to the ICTS foreign currency trading platform. Copyright © 2014 ForexOnDemand.com. Foreign Currency Trading. All rights reserved.